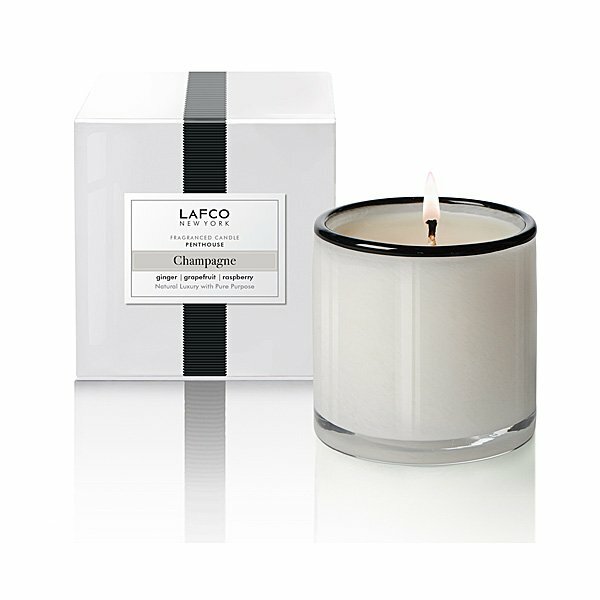 LAFCO Penthouse (Champagne) Candle is like the sparkling scent of the perfect party. Infused with notes of ginger, raspberry and pink grapefruit, fresh and bubbly, it shimmers like the view of a thousand city lights at dusk from your penthouse in the sky. In celebration of the good life, LAFCO presents the LAFCO Dream Home Candle Collection. These sophisticated fragrances are tailor made to evoke the ideal setting of your perfect dream home. Poured into an oversized, colored, hand-blown vessel.